LOW SHIPPING RATES FOR US, CANADA, EUROPE AND UK ORDERS! Dreaming of Nightmares is a concise horror movie history guide, covering the development of horror movies from their silent beginnings to the effects-laden shockers of today. Illustrated throughout with high quality stills and posters, this stylish publication is perfect for anyone with even a passing interest in horror movie history. There are familiar faces in the shape of Dracula, the Frankenstein Monster and the Phantom of the Opera, but we also explore the stories that unfolded behind the scenes, looking at the context in which our beloved classics were made. Each chapter of Dreaming of Nightmares covers a different era in horror movie history, making it great to dip in and out of. 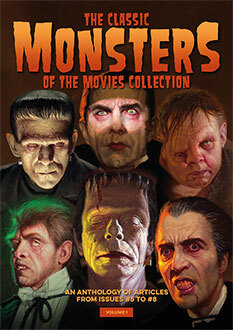 Whatever period of horror moviemaking is your favourite, you’re sure to find a wealth of nostalgia in here. 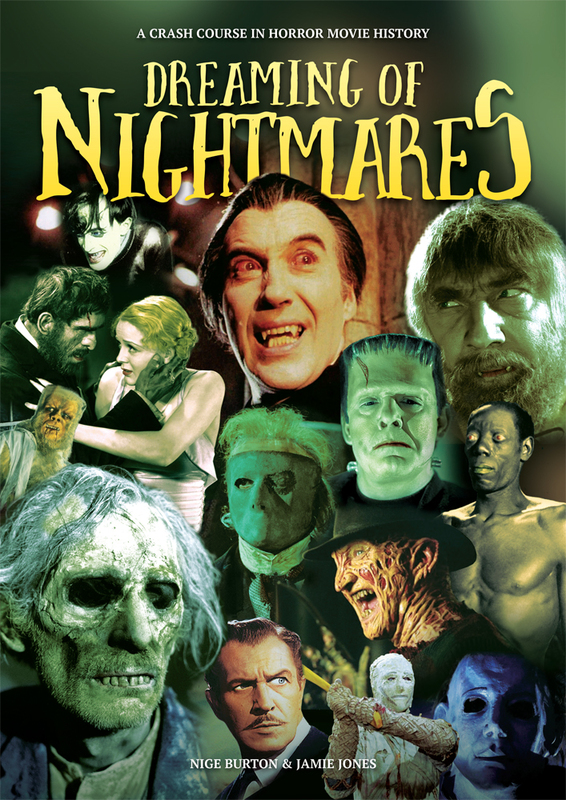 Dreaming of Nightmares is the ideal companion to your movie collection, shining a gore-geous spotlight on horror movie history throughout the decades.